June kicks off the official start of summer, and that means summer vacation and travel for many of us. If you’re looking to visit a zoo, aquarium or museum, now you can take a trip from your living room: organizations like Zoo Atlanta are using Google+ to create “Virtual Field Trips” and give us a front row seat to the latest exhibits, events and educational experiences. Today we’re sitting down with Becky Scheel, Exhibit Designer and Green Team Member at Zoo Atlanta, home to the nation’s largest collection of gorillas, to discuss how they’ve used Google+ to connect us with the many inhabitants at the zoo--from Po the Panda to Sohni the Sumatran tiger. What is the concept behind the “Virtual Field Trips?” Where has Zoo Atlanta “virtually” taken people? “Virtual Field Trips” helps bring the classroom and educational experience to anyone, anywhere. We’ve had the privilege to hangout with the likes of giant pandas, gorilla keepers, veterinarians, and the very charming Cortez the macaw, a bright-colored, often chatty, tropical bird. Some of our Hangouts take you behind the scenes, like the Great Ape Heart Project Hangout, during which staff performed a live echocardiogram on a gorilla to test its heart. We always try to include an “animal star,” even with their strict demands for snacks and attention. What was the motivation for Zoo Atlanta to begin using Google+? 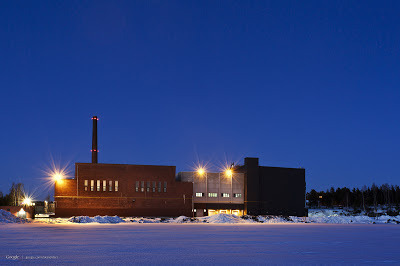 Google+ is a great vehicle to showcase our photography and share our stories. The format, with its flexibility, allows us to go more in-depth, and our Google+ community is really receptive to and engages frequently with our posts like panda Lun Lun’s picky eating habits. What are some of the benefits of using Google+? Hangouts! We have done nine Hangouts On Air (the live broadcasting feature) and are really enjoying it. Each Hangout provides students from around the country the opportunity to explore and learn from the world outside of the classroom and introduces some of our amazing animals and staff in a personal, conversational format. From the “Physics of Flight” to “Exploring Ecosystems” (where you meet Max the porcupine), you can watch all of Zoo Atlanta’s Hangouts On Air here. How can people help animals like Lun Lun and Ivan? One of the easiest ways is to start a cell phone recycling collection. Most cell phones contain coltan, a substance mined in the same areas as gorilla habitats. The reuse of the recycled cell phones results in the need for fewer new ones, which in turn reduces the need for coltan mining. It’s a mouthful, so we created an infographic to help explain how you can help protect these incredible animals. 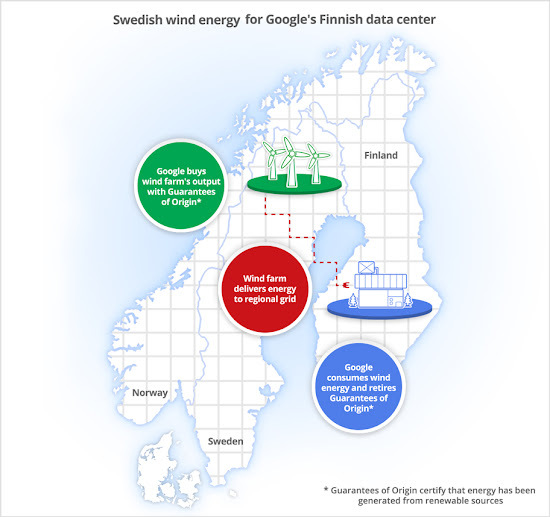 Discover more ways to connect with and support environmental organizations through Google+ on the Google Green website. To learn about the many other organizations creating “Virtual Field Trips”, be sure to check out the launch video. "In the limelight" is a monthly series showcasing the ways people are using Google products to be better to the environment. 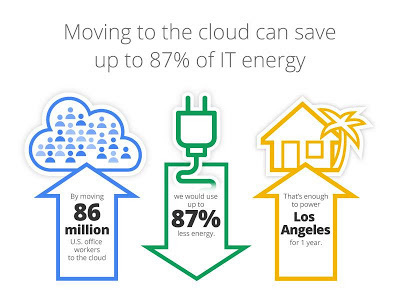 Explore ways you can be greener with help from Google products on the Google Green website. that question and enlisted the help of Lawrence Berkeley National Laboratory (Berkeley Lab) to gather more data. 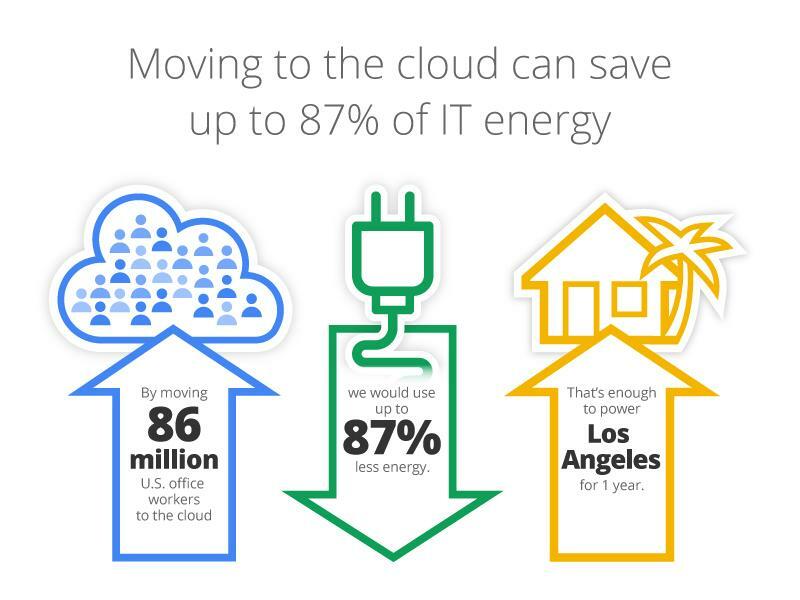 Their study (PDF), released today, shows that migrating all U.S. office workers to the cloud could save up to 87 percent of IT energy use—about 23 billion kilowatt-hours of electricity annually, or enough to power the city of Los Angeles for a year. The savings are associated with shifting people in the workforce to Internet-based applications like email, word processing and customer relationship software.